ItemD-09051 - A magnificent dead bear. ItemD-09056 - The Penguin and the Semiahmoo. ItemD-09061 - Sail boats used for fishing in the north. ItemD-09070 - "B.X. Coach, Ashcroft to the Cariboo, 1895." ItemD-08914 - Unloading fish for canning. ItemD-08915 - Members of the 5th Regiment, Canadian Garrison Artillery. ItemD-08921 - Dog Lake, Okanagan Valley. ItemD-08929 - The Alfred Postil family. Item D-09070 - "B.X. 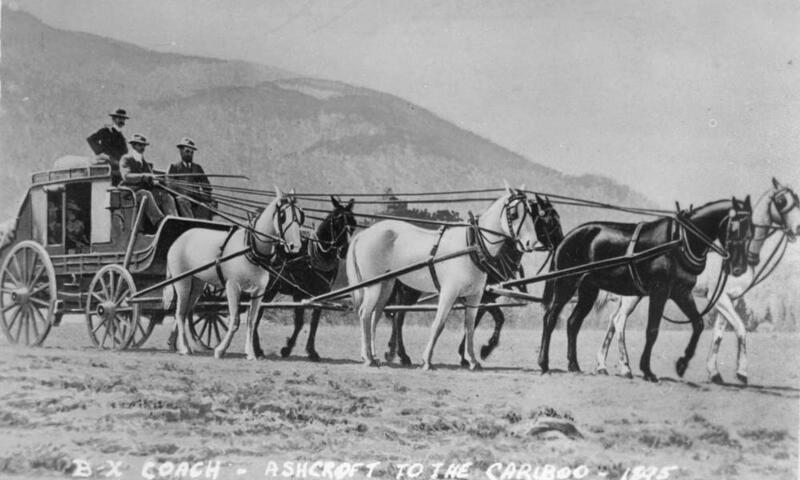 Coach, Ashcroft to the Cariboo, 1895."